What companies/bodies have approved Clearly Clinical to provide CE credit hours? 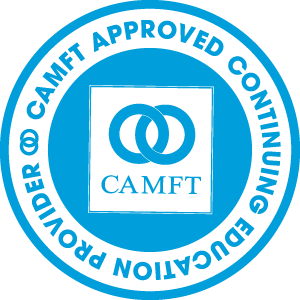 CAMFT: All of Clearly Clinical's courses meet the qualifications for continuing education credit for LMFTs, LCSWs, LPCCs, and/or LEPs as required by the California Board of Behavioral Sciences; Clearly Clinical is approved by the California Association of Marriage and Family Therapists to sponsor continuing education for California LMFTs, LCSWs, LEPs, and LPCCs. Clearly Clinical maintains responsibility for this program/course and its content; CAMFT-CEPA: #99380. 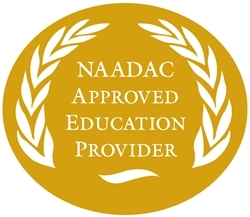 CCAPP: All of Clearly Clinical's courses meet the qualifications for CE hours as required by the CCAPP .Clearly Clinical is approved by California Consortium of Addiction Programs and Professionals-EI; CCAPP-EI #5-17-274-1119. To see whether these approvals satisfy your state's requirements, please click the button below. How do I get CE credit hours through Clearly Clinical? In order to receive CE credit hours, you need to create a free Clearly Clinical account and purchase an annual subscription. Scroll through the course list to find courses that interest you; new courses are added regularly. Listen to the audio associated with your preferred CE courses (you can either download it on our website, or download it via other means like iTunes), and then take the associated course test. Once you receive a passing grade on the course test, just complete the course evaluation, and your CE certificate will be automatically added to your account's 'Certificates' section once you've clicked the 'Generate Certificate' button at the end of the course. Easy peasy! How do I know if my state licensure/certifying body will accept these CE hours? To find out if your state's licensure/certifying body will accept Clearly Clinical's courses for Continuing Education credit hours, visit the 'Check My State Requirements' link at the bottom of this page. Who develops Clearly Clinical's Courses? All of Clearly Clinical's courses are co-developed by Stephen Winston, PhD, a licensed Clinical Psychologist, and Elizabeth Irias, MS, a licensed Marriage & Family Therapist. What score is needed to pass the course tests? A score of 75% or above will earn a passing grade. Can I retake a course test if I don't pass it? Yes, you can retake a course test if you do not pass. There is no limit to the number of times you can re-test. What do I need to do to get a completion certificate? In order to receive a certificate of completion, you must earn a passing grade on the course test (a six to eight question test) and complete the required course evaluation. If you listened to the audio via a podcast, you must also 'click through' the audio portion of the course (click the button in the little middle of the course player audio section that says CONTINUE) to progress to the test and evaluation. To generate your certificate, you must select the 'Get Your Certificate' button at the end of each course. What is the course test format? The course tests are each comprised of an assortment of true/false and multiple choice questions. Each course test includes six to eight questions. How long does it take to receive a CE certificate, and does access to my certificates ever expire? You will immediately receive your course certificate once you complete each course; make sure to click the 'Get Your Certificate' button at the end of each course, and the certificate will pop up in a new window. Course certificates immediately populate in your account's 'Certificates' section as soon as you've completed all of the course requirements (include achieving a passing grade on the course test) and have selected the button to generate the certificate. Access to completion certificates (if received) via your Clearly Clinical account expires 365 days from the date of completion; it is recommended that users download and retain a copy of their certificates for their records. Clearly Clinical maintains copies of these certificates for 5 (five) years from the completion date of the course; participants can email support@clearly-clinical.com to request an emailed copy of a certificate if account access has expired. Can I receive partial CE credit if I only listened to part of a course? Partial credit will not be provided to individuals who do not complete the required coursework and do not complete the associated post-test with a passing grade. To create an account with Clearly Clinical, click on the words 'Sign Up' in the upper right-hand corner of this webpage. Is there a fee for creating an account? Creating an account with Clearly Clinical is free! Do I need to create an account to listen to Clearly Clinical's audio courses? Nope, you only need to create an account if you're desiring CE credit hours. All of Clearly Clinical's podcasts are available for free in multiple formats; visit the course pages to find links about downloading the audio podcasts for free. I've purchased an annual subscription- how do I access the courses? Once you've created your account and purchased an annual subscription, use the following instructions to access all of your courses: Log in to your account at https://courses.clearly-clinical.com/ and click on the word 'Dashboard' at the top of the page. In that section, you will see all of the courses as part of your annual subscription. Click on the course you'd like to access, and then take the associated post-test and evaluation after you've listened to the associated podcast/audio. Once you pass the test and complete the evaluation, the certificate will appear in the 'Certificates' section of your account (click on your name in the upper right corner once you're logged into Clearly Clinical, and the menu on the left will show 'Profile', 'Password', 'Certificates', etc.). Don't hesitate to contact us if you're having any difficulty accessing your courses. How long is an annual subscription good for? You may earn as many CE credit hours as you'd like for one year from the date of purchase. Can I purchase one CE course at a time, or do I need to buy an annual subscription to receive CE credit hours? Clearly Clinical's CEs are all available via an annual subscription, and are not available for purchase by individual course. Make sure to check out our free trial course, too... all you need to do to earn that free Law & Ethics CE hour is create an account, listen to the audio, earn a passing grade on the associated exam and take the evaluation. Answers about things like grievances, refunds, accommodations, etc. What is Clearly Clinical's grievance/complaint procedure? In the event of a grievance or complaint, participants are asked to put concerns in writing and submit via email to support@clearly-clinical.com. All grievances reported to the CE Program Administrator will be responded to within 6 business days. In general, refunds will not be provided. That said, we want to address your concerns, and hope that you'll contact us if something is on your mind. Registrants who do not complete their course(s) will not receive a refund. Registrants who purchased the course but did not achieve a passing grade will not receive a refund. A $20 charge will be applied to credit cards denials. What if I have special needs or need an accommodation? If you have special needs or need an accommodation, please email us at support@clearly-clinical.com and we will do our best to assist you. How does Clearly Clinical select its presenters? All of Clearly Clinical's presenters are throughly vetted, and are experienced and educated in their areas of expertise. While designing this CE platform, we went looking for presenters who are passionate, experienced, ethical, and interesting... we want our courses to really hit-home with our listeners. Why did you start Clearly Clinical? As Clearly Clinical founder Elizabeth (‘Beth’) Irias, a California Licensed Marriage & Family Therapist, walked out of yet another amazing and engaging in-person continuing education presentation, she thought to herself, “If only there were a way to make this incredible content reach the clinicians who aren’t able to be here.” She realized that she had missed loads of amazing CE courses over the years due to time limitations or financial constraints, and sought to solve the problem… great, low-cost CEs could be offered online, in a modern, relevant format like podcasts. What are some of Clearly Clinical's values? Clearly Clinical’s goal is to give you courses that answer your questions, build your skills, and help you satisfy your licensure and certification requirements, all via an affordable and easy-to-use platform. Thanks to the collaboration of passionate, experienced, and forward-thinking colleagues, Clearly Clinical came into existence. We’re serious about making online CEs better, and we’re also serious about helping the community at-large… we welcome your feedback, and also invest in the community by providing a portion of proceeds to The Trevor Project. I listened to the podcast and did the test & evaluation but the course shows it's only 66% completed so I haven't received my certificate. How do I remedy this? Your certificate is not available until the streaming audio portion has been completed (ie- 'clicked through'; it's fine that the podcast was listened to instead of using the streaming version online... the system just needs you to click on the grey CONTINUE button in the course audio section of the course to complete that requirement). Please log in to your Clearly Clinical account, click on the appropriate course, and 'click through' the streaming audio portion in order to complete that part (it's the first course section). There's no need to listen to the audio again- just click the grey CONTINUE button in the lower right corner to progress through the course. It should then register that the course is 100% completed. I completed the course but didn't get a certificate of completion. What now? Make sure you've 'clicked through' all portions of the course and it shows that it's 100% completed (if it doesn't, go back and click the CONTINUE button to progress through each section- see answer above). To generate your completion certificate, select the grey 'Get Your Certificate' button in order for it to populate into the certificate section of your account. Access to completion certificates via your Clearly Clinical account expires 365 days from the date of completion; it is recommended that you retain a copy of the certificates for your records. To access the your completion certificates in the future, once they've already been generated: Log into your Clearly Clinical account and click on the little arrow next to your name in the upper right corner of the webpage, and then click on 'My Account'. Next, click on the blue 'Certificates' link on the left side of the page. Clearly Clinical maintains copies of these certificates for 5 (five) years from the completion date of the course; participants can email Support@Clearly-Clinical.com to request an emailed copy of a certificate if account access has expired.